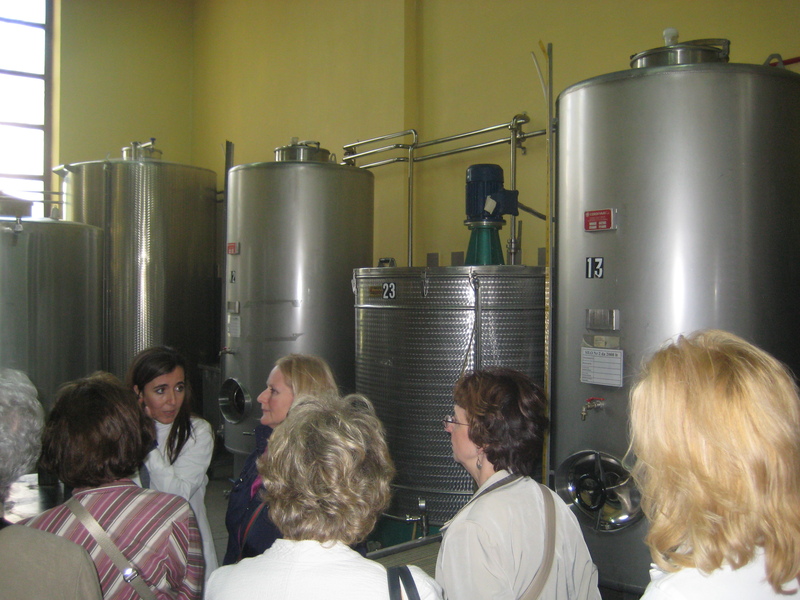 As many of you may know by now our mom (aka Marmo) organizes culinary trips and tours in Italy through her company Gourmet Getways. The fascinating people she’s met and resources she has accumulated doing this is quite outstanding. I was lucky enough to accompany her on her last recon-mission to Rome and had the opportunity to meet up with Katie Parla, a food and art historian and sommelier who has been living in Italy since 2003. Katie is a freelance writer and provides customized, private tours for small groups. I admit to finding her lifestyle (or what I imagine it to be) fascinating. 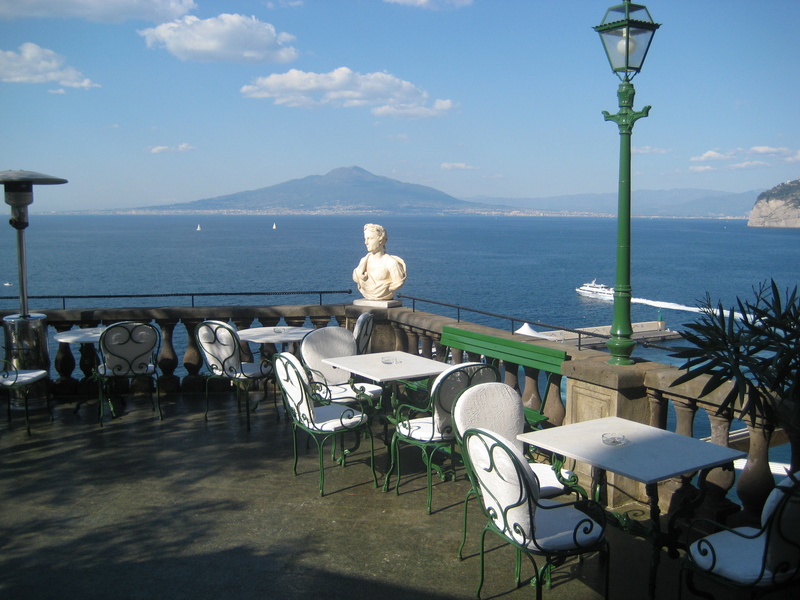 Italy has an intense culture: the flavor (both where food is concerned and lifestyle), the art, the history…the rambling ancient and medieval streets that are treacherous to walk on after troppo vino….it can all be very overwhelming. I wanted to get the insider track from Katie on what her life is like as an ex-pat and get some travel tips while I was at it. 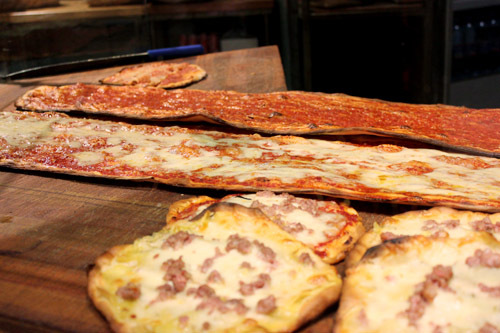 *Above Photo: flat bread pizza at Roscioli. 1. 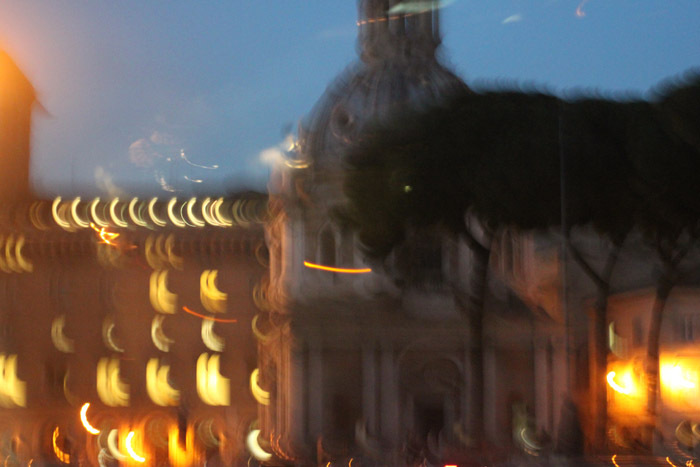 What’s a typical day like for you in Rome? Do you even have a typical day? I don’t really have a typical day, but I every morning I grab a slice of pizza bianca (a Roman flat bread), either at Roscioli or Forno Campo dei Fiori. Then I might do some writing or lead a market tour, followed by lunch (often pizza by the slice), then do some writing, meet a friend for drinks then go out to dinner. 2. 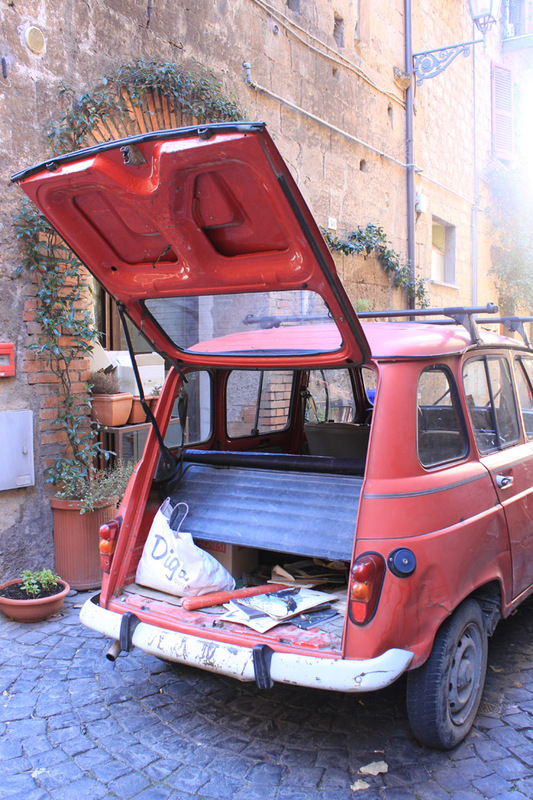 What’s it like being an American living in Rome, and what advice would you give to travelers? Obviously everyone has a different experience but I really enjoy it. I get to live two realities, that of the Rome dweller and that of the ex-pat. 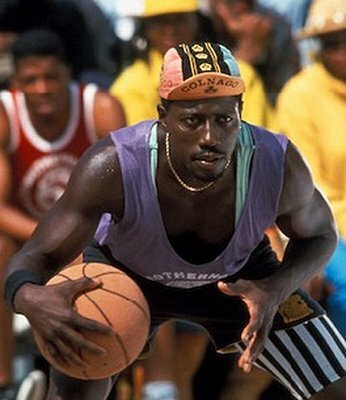 I wouldn’t want to have to be 100% dedicated to the former or the latter, but if I had to quantify it, I’d say I’m 75-25. 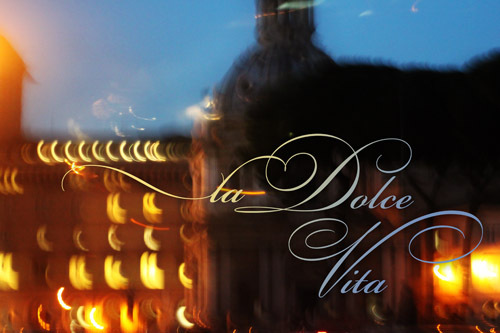 I would suggest that travelers to Rome give themselves the chance to be a Rome dweller, at least partially, by staying for more than a few days, renting an apartment in a residential area, using public transport, and going food shopping in markets and small shops. 3. Tell us a little bit about the tours you lead and why you take this particular angle. Well, I have degrees in Art History, archaeological spelunking, and Italian Gastronomic Culture, so my tours are in-depth explorations of these subjects. My tours tend to be interdisciplinary, as it is impossible to isolate single themes in a place like Rome where so many layers intermingle. 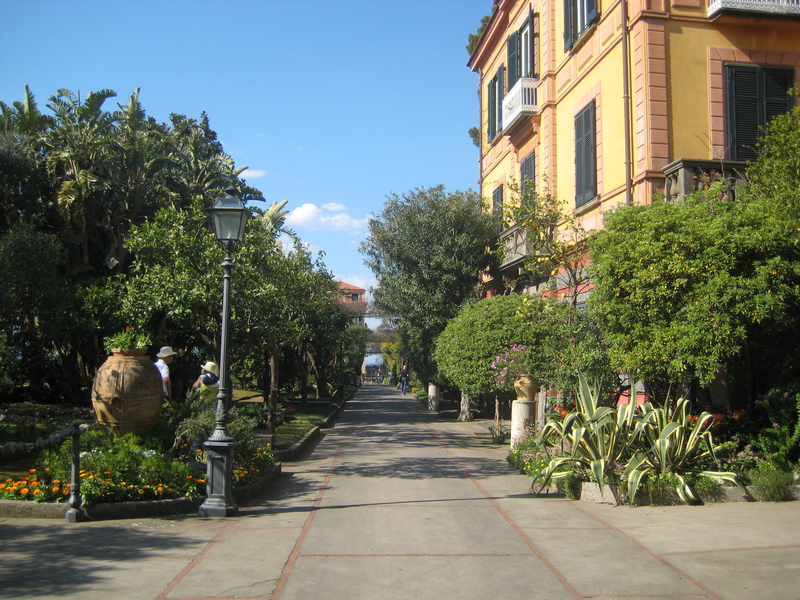 On a food tour, the discussion might start on artichokes, then turn to botanical archaeology, then frescoes depicting vegetation. It can get nerdy. * Above photo: Pasta Cacio e Pepe from Roma Sparita. 4. 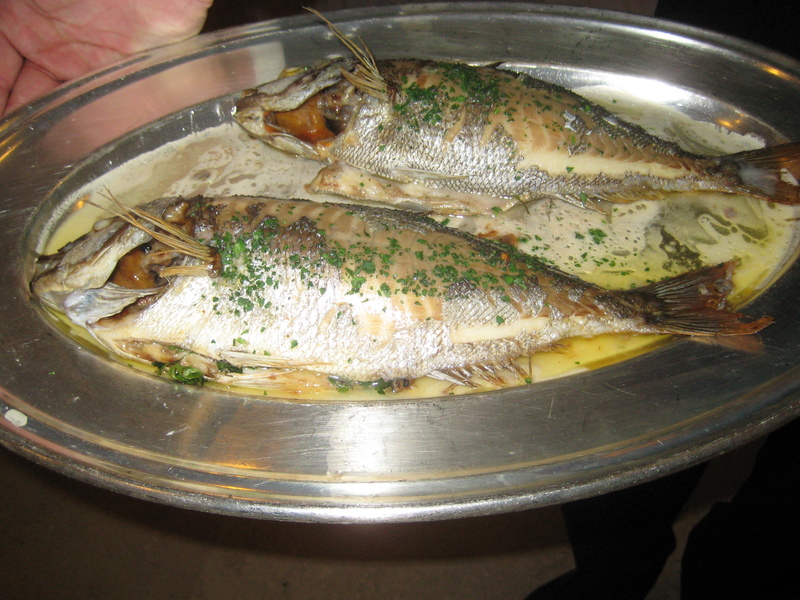 What is your favorite Roman dish and place to get it? Tough question! Can I have more than one favorite dish? 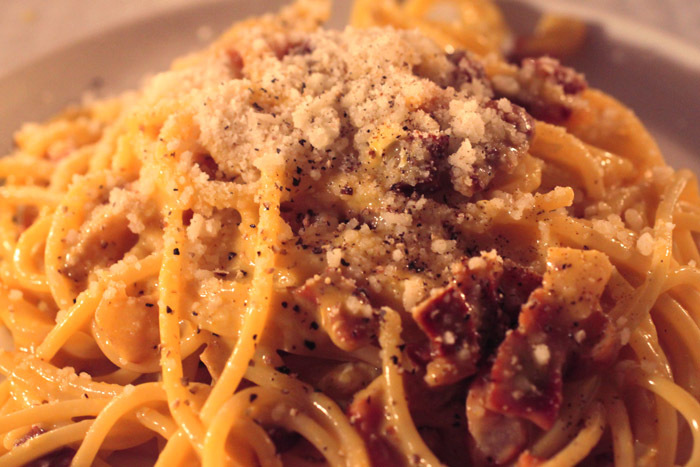 I’d probably say Roscioli makes my favorite carbonara, Roma Sparita my favorite Cacio e Pepe, Checchino dal 1887 my favorite Trippa alla Romana, and Pipeno my favorite Fiori di Zucca. 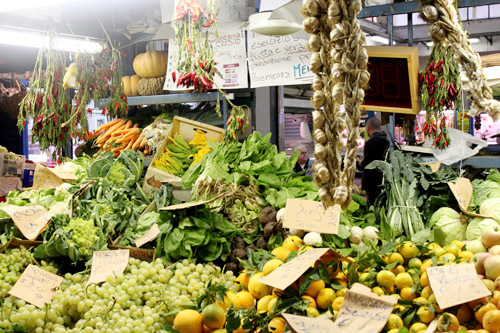 *Above Photo: a veggie vendor at the Testaccio Market. 5. The local food movement has been gaining ground in the US. Is this an issue in Italy/Rome or not as much (seeing as Italy is not over-run with Walmarts and Mega-Markets)? 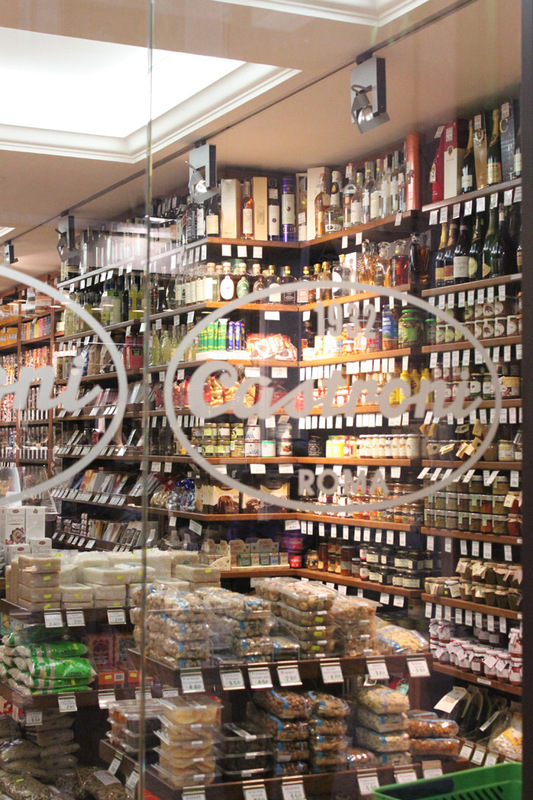 While the large chain stores aren’t as prevalent in Italy as they are in the US, there has been a massive rise in the number of supermarkets over the past couple of decades. And in Rome, more market stalls are vacant than ever. 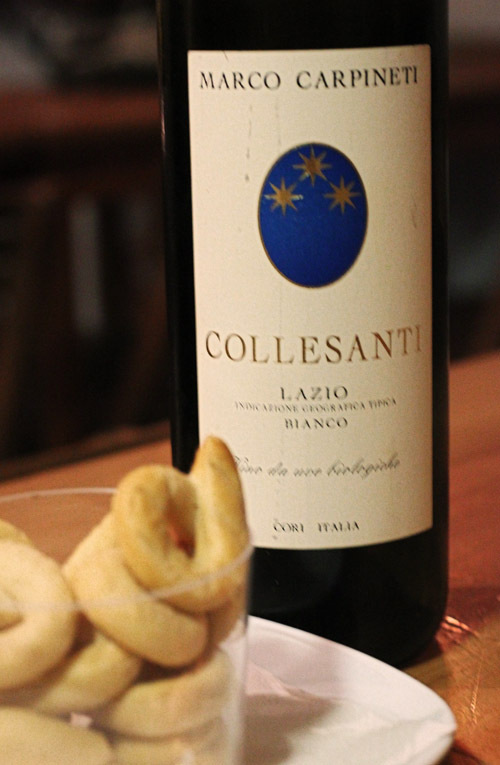 A group called Coldiretti is seeking to combat that by promoting the consumption of local produce and other products. They run a weekend farmer’s market near the Circus Maximus and another (called Roma Farmer’s Market) in the old slaughterhouse in Testaccio. Over the past couple of years, some restaurants geared towards locavore eating have been opened. In June, the NYT published an article I wrote on the subject. 6. Tell us a little about being a sommelier and how you incorporate that knowledge into your tours or food adventures in general. 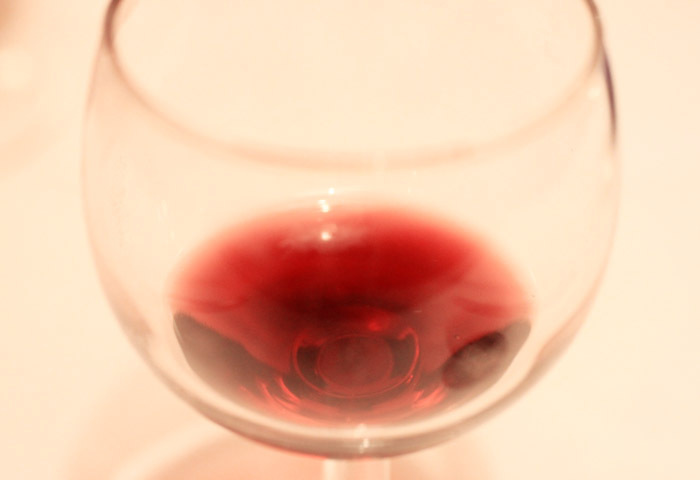 Well, I do have a sommelier certificate but, rather than using it for restaurant work, I lead wine tastings that focus on the cultural history of wine in Italy. I use a selection of wines to teach about grape cultivation, regional difference, and food culture, usually doing tastings at a wine bar or two in the center of town. I do a lot of traveling for food research and try to visit vineyards and speak with wine producers as much as I can. 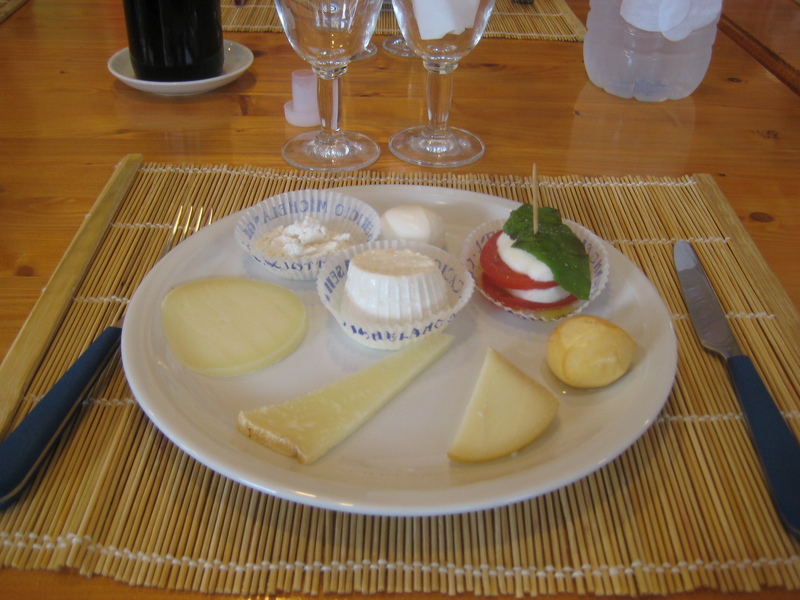 As you can imagine, eating and drinking are inextricably linked in Italy so you cant really study the food of an area without considering its accompanying wine. 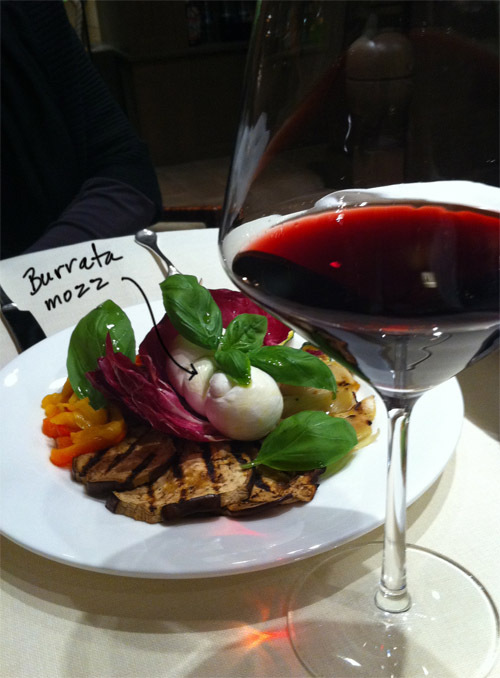 * Above Photo: Burrata mozzarella at the St. George Hotel in Rome. 7. 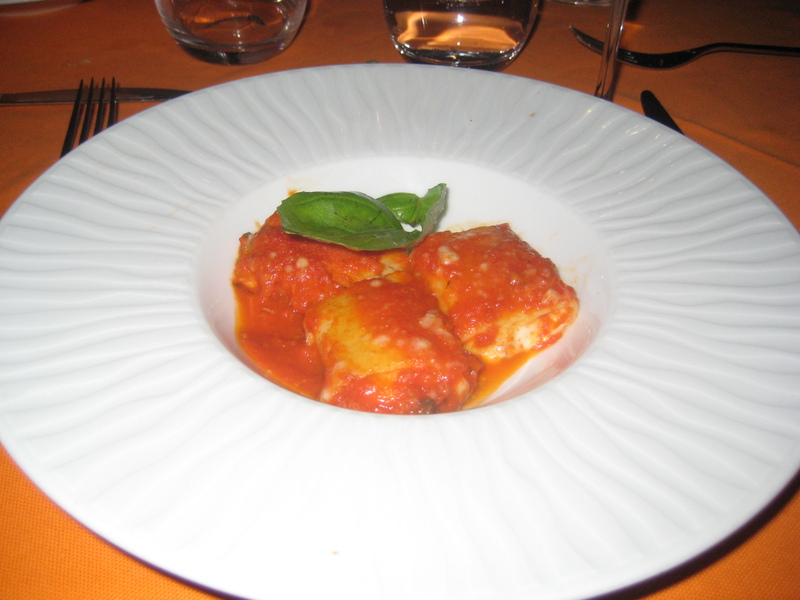 What is a little known Roman (or Italian) food that you think is just off-the-hook (so to speak)? And how can tourists get their hands on it, or recreate it? 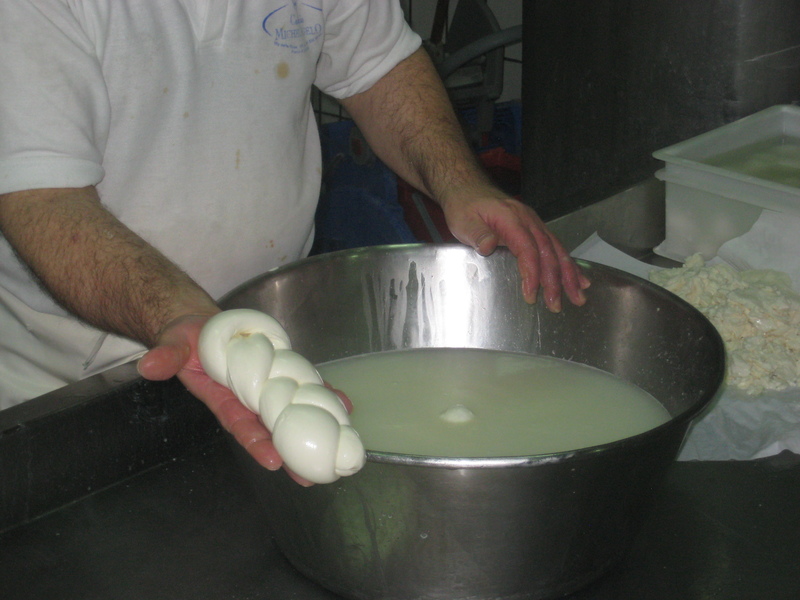 Well, I don’t know how obscure this is anymore, but burrata is one of my favorite foods on the planet. 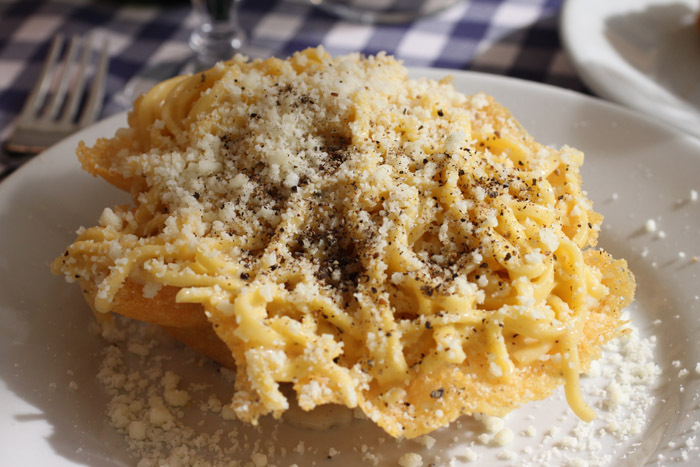 If you can’t go to Puglia in southern Italy to eat it, Roscioli in Rome carries it. Beware. It is addictive. I have found pretty good burrata at Chelsea Market in NYC. 8. 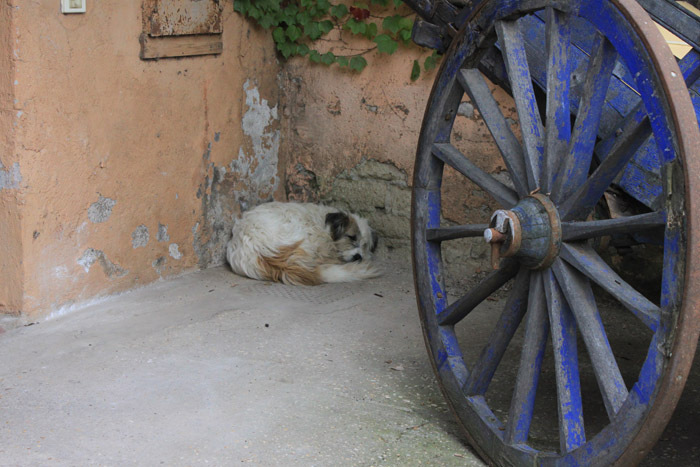 What’s a fantastic off-the-beaten-path Roman museum or site or nook ‘n’ cranny that is often overlooked? There are so many! I am always shocked how few people visit Palazzo Massimo alle Terme with its spectacular Roman sarcophaghi and fresoces. Santa Prassede is another favorite place that is often overlooked and has amazing medieval mosaics. The Parco degli Acquedotti just off the Via Tuscolana is certainly off the beaten track and is a very cool public park with aqueduct ruins that lumber through the countryside. Palazzo Valentini under the Provincia building next to Piazza Venezia is super cool. 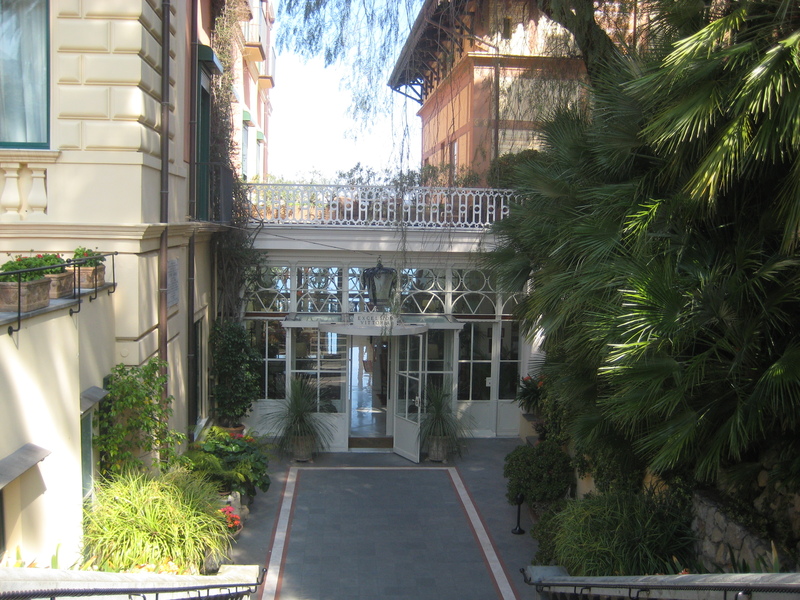 Two villas decked out in marble mosaics and wall veneers were uncovered in 2007 and recently they have been open to the public. I went there last week and was the only visitor. You can learn more about Katie, her writing and tours here. 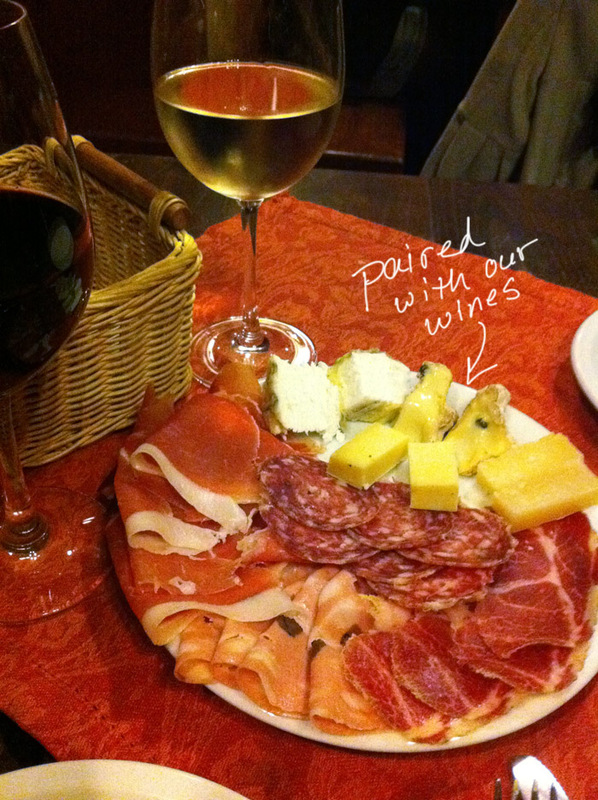 And here is another article Katie wrote for the New York Time Travel section: In Rome, Really Local Food. Oh and spelunking? That’s just cool. Speeee-lunk. 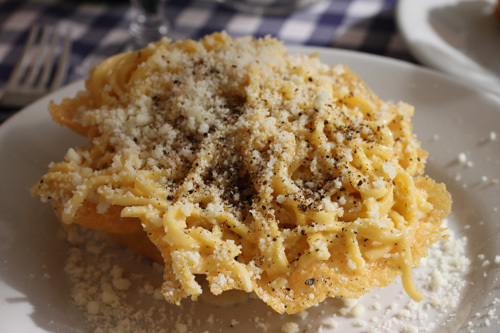 Il Pranzo: Favorite lunch – Pasta Cacio e Pepe at Roma Sparita. Note the basket of FRIED CHEESE. Yeah, that’s right. 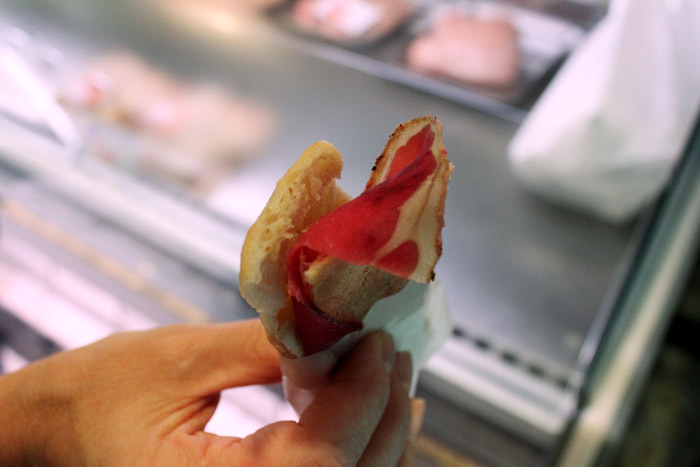 Carne: Favorite new cured meat: Like prosciutto but not pork from the Jewish section in Rome. 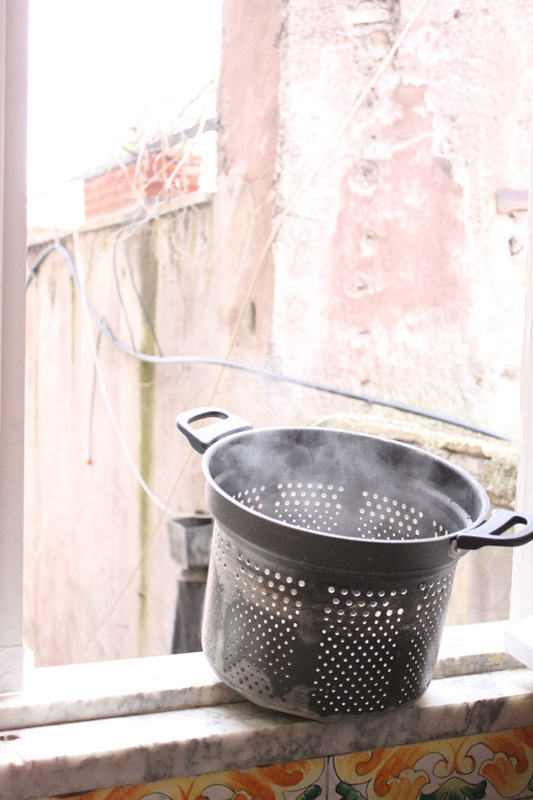 Le Patate: Favorite photo of boiled potatoes cooling on a windowsill (I know, it makes no sense). 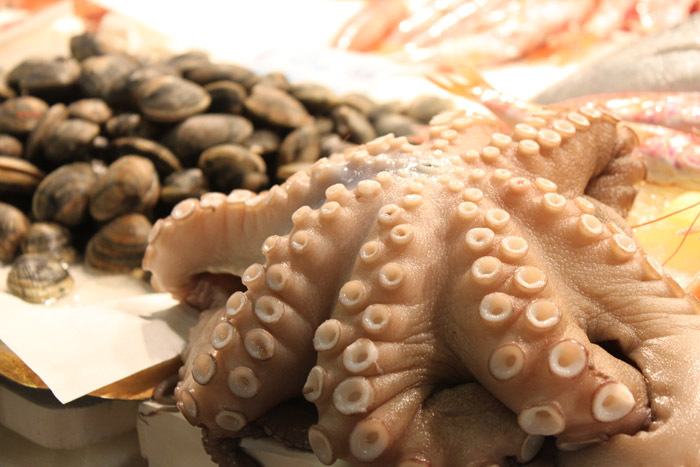 Il Polpo: Favorite Octopus for sale at the Roman Testaccio Market. 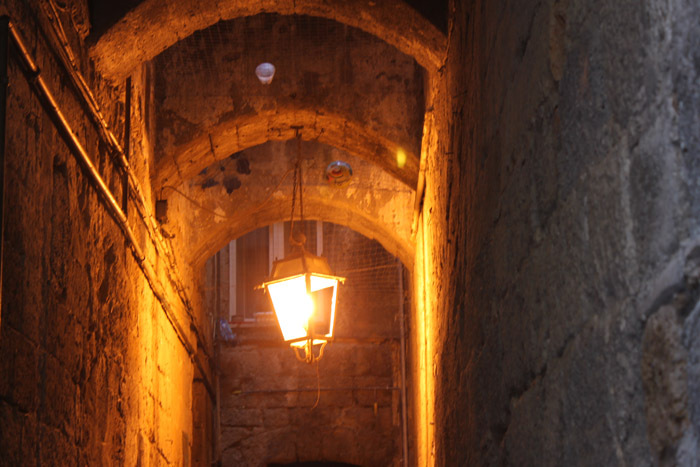 La Strada: Favorite Creepy Alley in Orvieto – ALL OF THEM! 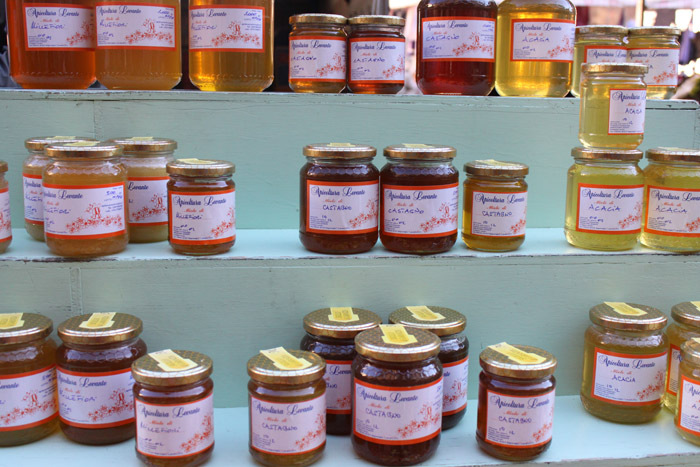 Il Miele: Favorite Vendor at the Orvieto Farmer’s Market – Sigillo di Garanzia Miele (No website I could find). I bought Sunflower Honey and a jar of hazelnuts in honey, which is pretty much awesome. I keep saying that I’m going to bake something with it, but I just keep eating them out of the jar with a spoon. 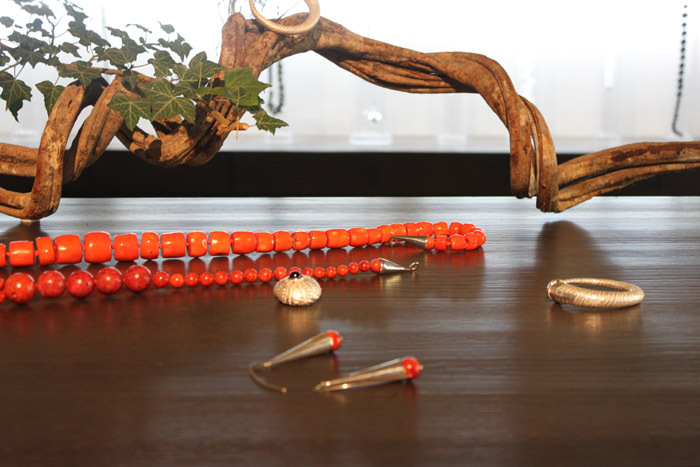 Il Gioielli: Favorite Jewelry Shop in Orvieto – Spazio Manassei Gioielli di Monixa Coscioni. I think this woman is a metal/gem stone working genius. 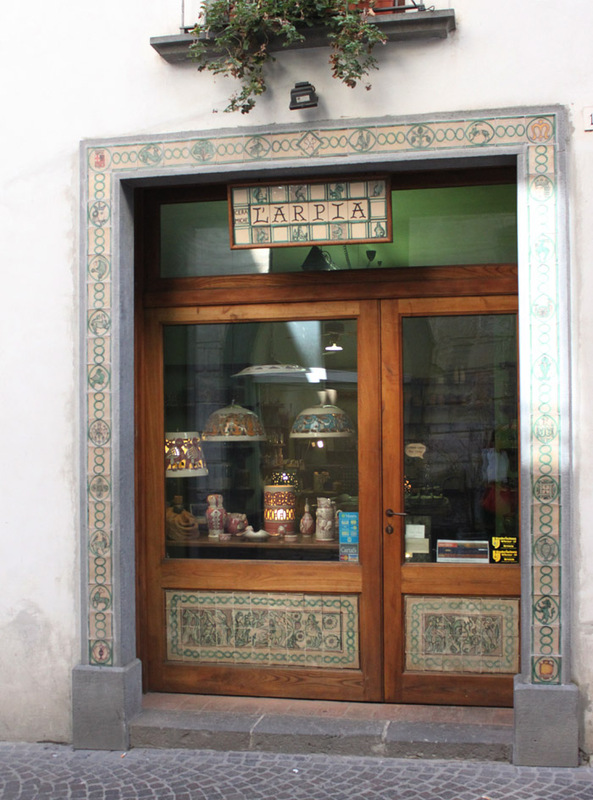 La Ceramica: Favorite Pottery Store: L’Arpia – handcrafts pottery based on Medieval designs native to Orvieto. You can watch them paint in the store! Salute! Thanks to Marmo for an amazing trip! Life is uncertain: eat dessert first. Does anyone know who said that? It was apparently an American writer named Ernestine Ulmer. I actually just looked that up, because I didn’t know. Today’s post most certainly involves eating dessert first, a practice that I whole-heartedly support. I also support eating dessert last. First AND last would be best, I think. 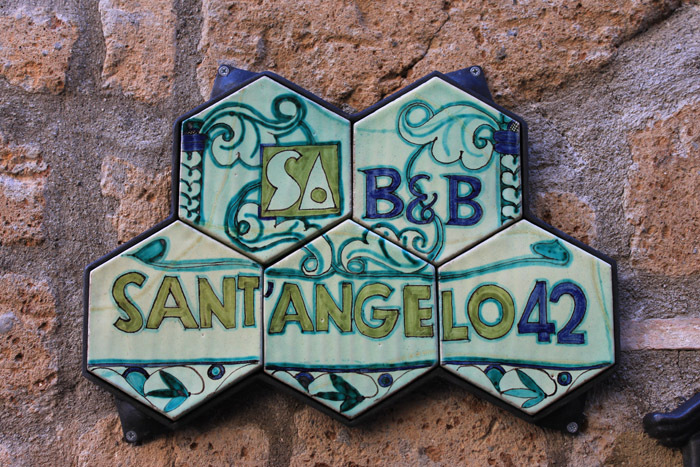 While in Rome, Marmo kept going on and on and on about a bakery called Antico Forno Roscioli. It got kind of annoying, so I had to take her there. 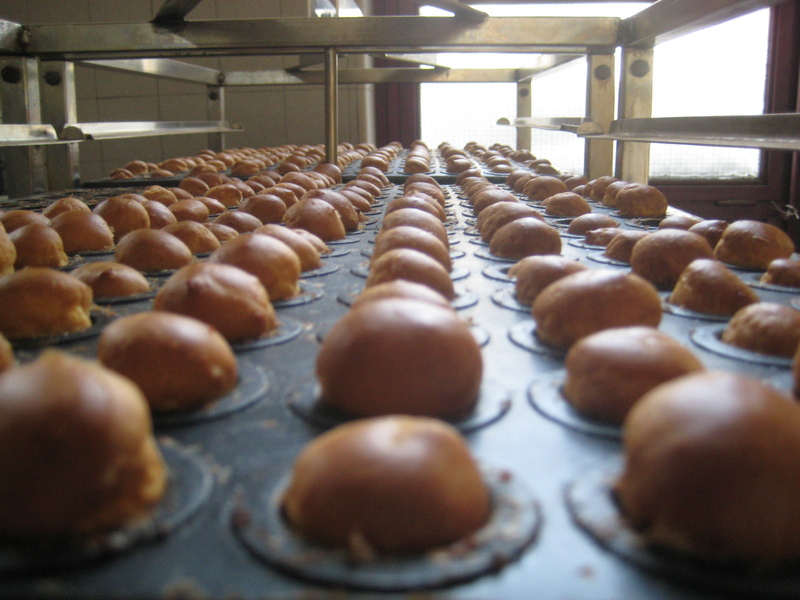 Then, once we got there, she kept going on and on and on about this particular pastry, ventagli, which means “fans” in Italian. So we had to eat one. The sign lodged in the ventagli says “no eggs, no milk” so I can only assume that means one thing: BUTTER. Also: SUGAR. As for taste, a few words come to mind: HOLY %^$& that’s good! Honestly, I was a little skeptical when Marmo was going on and on about ventagli. It really didn’t look that special to me. I like desserts and pastries that I can sink my teeth into. This one looked like it was going flake all over me, leaving me with very unsatisfying bites. I was wrong. Proven wrong by a pastry is really not all that bad, folks. This little “fan” was surprisingly hearty. It had a nice snap upon biting into it, and the layers, rather than being a flaky mess, really hung together making it more dense than it appeared (a good thing). As you may note from the photo above, the sugar coating looks intense, but honestly, this was not a sickly sweet dessert. 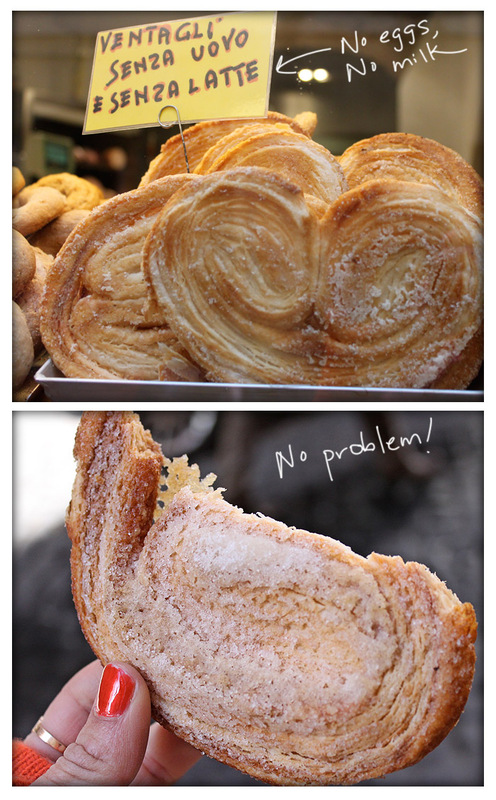 The balance of sugar-to-pastry was quite good, and I wouldn’t have changed a thing in that regard. Antico Forno Roscioli stocked a number of other freshly baked items, including pizza in the Roman style. I really liked those long ones shown in the above photo, but I have no idea how you go about baking such a monstrosity. However, for pizza I wanted to go to a real Roman pizzeria. I was going on and on and on about it. I think it was annoying. So Marmo took me to Monte Carlo Pizzeria, where we sampled two beauties: the Margherita and the Fiori di Zucca (squash flower). Pardon this PIZZA TANGENT: Roman pizza is characterized by an especially thin and crispy crust. The use of a pizza stone when baking this type of pizza is imperative as the crust really needs even heating from the bottom. The crust should have some give to it, like a thin bread. It shouldn’t crumble or have the texture and consistency of a cracker. In terms of preference I’m not sure where I stand: Neopolitan Style or Roman Style. I like both, but if pressed, I may veer towards Naples. I am Neopolitan, after all…Feel free to leave your comments about your pizza preference! You can clearly see the thin crust in the above photos. However, the pizza doesn’t stay rigid, but is a bit bendy (like bread). The taste was excellent. Pure crushed tomatoes combined with a thin, even layer of mozzarella cheese. I did find it interesting that there was no basil. I do love basil. 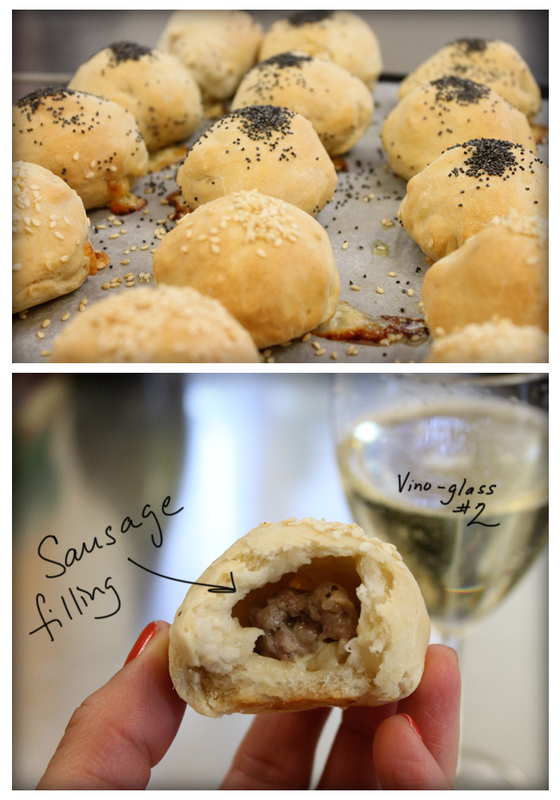 I also loved the bubbles that formed around the outer crust (you can see this well in the top photo). Some of these bubbles got nice and charred, and really gave the pizza a kick. As I may have mentioned, I have become a bit obsessed with these flowers. I wanted them on everything while I was in Italy. 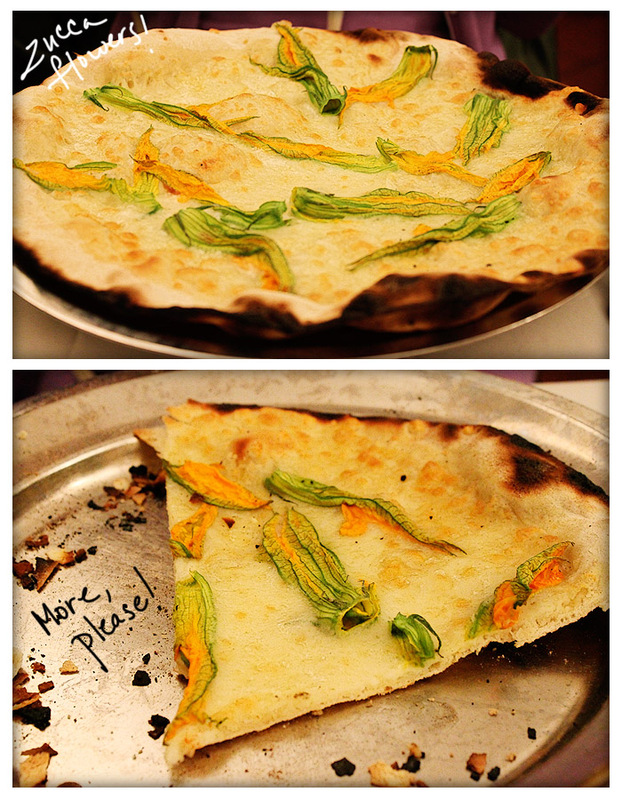 This combination of the squash flower and lightly-cheesed pizza was quite good. The flowers have a very mild taste, almost buttery. 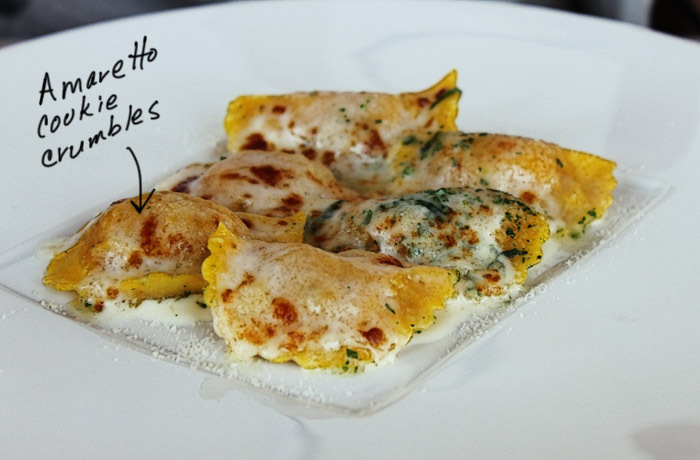 This soft, buttery flavor compliments the salt of the mozzarella cheese. As you can see, this pie also had a nice char going on around the edges, which gave it a slightly smoky taste. Definitely a winner. Overall, both of the pies were very light. It was quite easy to eat an entire pie and still have some room left over for dessert (again). Did I hear someone say gelato? This is both because of the thin crust, and also the light, even-handed application of the toppings. 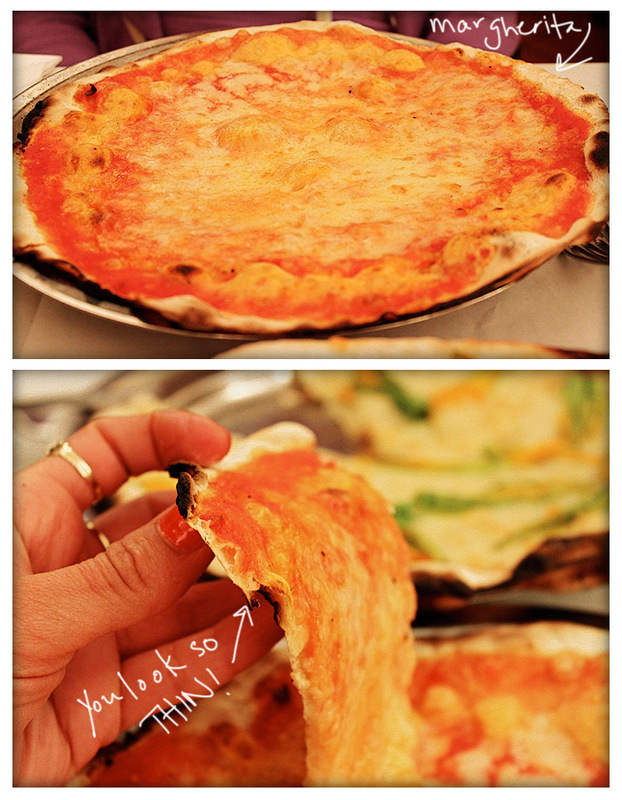 I’m thinking this style of pizza would be a great appetizer at a party, cut into small pieces. I’m going to try out a thin crust in the laboratorio semi-moderno (test kitchen) soon for you all. 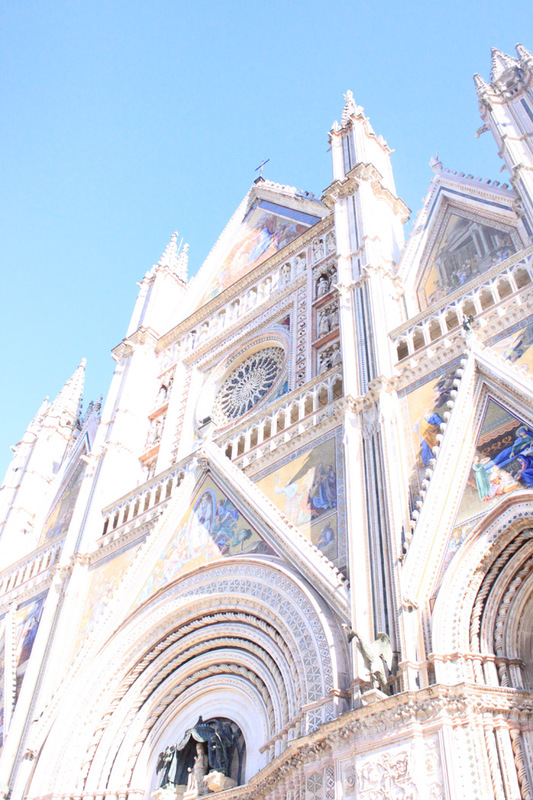 For part of our trip in Italy, we traveled to Orvieto, in the Umbria region. 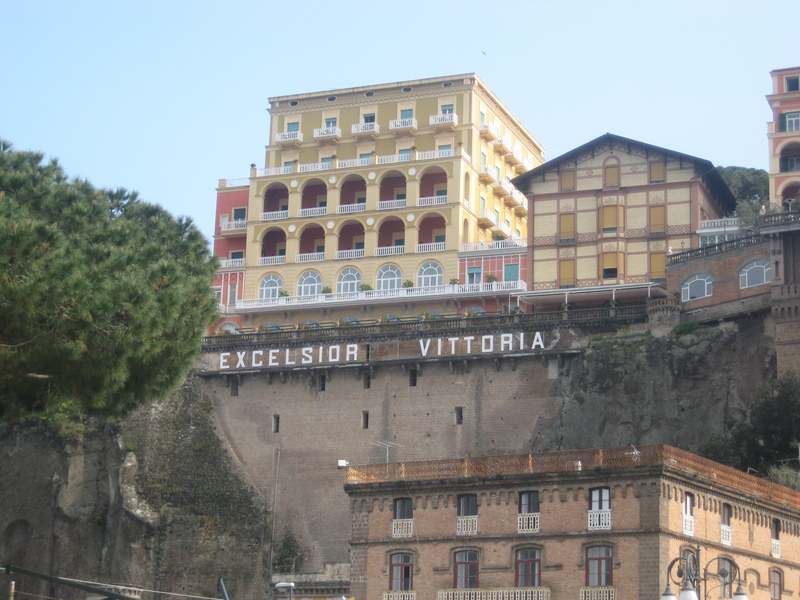 This might be one of my favorite towns in Italy. Not that I have seen them all, because I haven’t, but I really like this one. It’s like stepping back in time to the year 1400 – a magical combination of Medieval architecture, winding cobblestone streets, eerie streetlamps, and a delicate morning mist that hangs over the outskirts of town and gives everything a slightly fairy-bookish feel. And since its modern times, it’s plague-free! Cool, right? I thought so. While we were there, we took a cooking class with Velia de Angelis. Velia has worldwide cooking experience, working as both a chef and a cooking instructor. 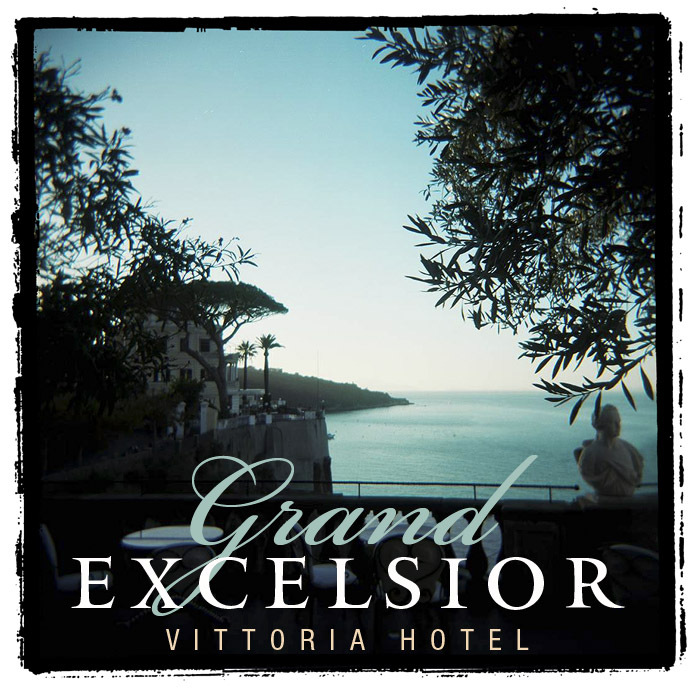 In Orvieto, she teaches cooking classes and owns, runs, and cooks for her champagne bar, La Champagneria. 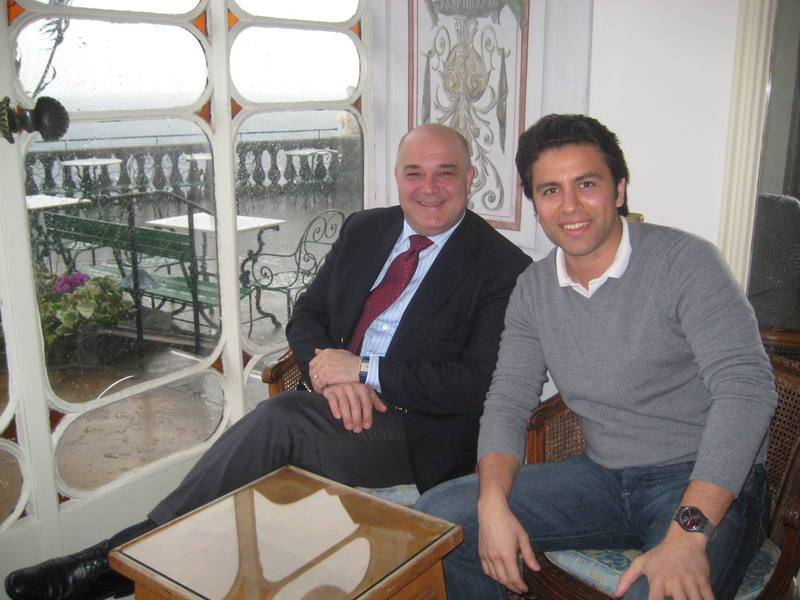 Incidentally, I became the “mayor” of La Champagneria on Foursquare. I’m not sure it counts, though, as I was the one that put it on Foursquare’s radar, and got the mayorship by visiting twice in two days. Anyhoo! Back to cooking class. We made some amazing things. 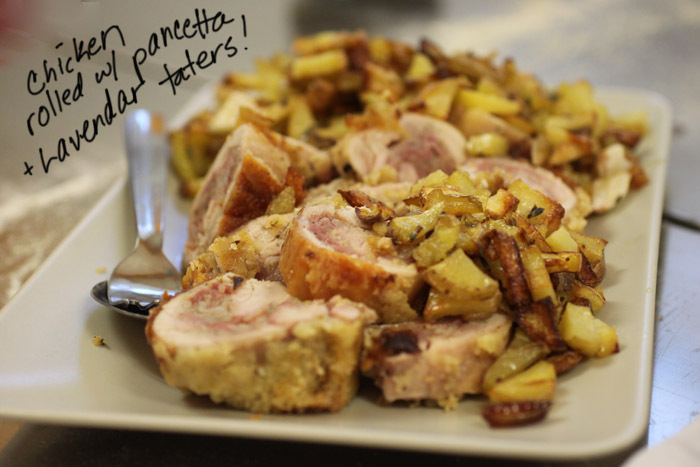 Velia, as you can imagine from her experience, has a lot to share in the kitchen. We began with some little bread rolls (freshly made bread, by the way), stuffed with sausage and topped with sesame or poppy seeds. For the vegetarians in the audience, these rolls can be stuffed with anything – or nothing – they are very versatile. Then, we were on to eggplant rolls. These were fabulous and involved minimal cooking. The result is like a vegetable sushi roll, and is very easy (and healthy) to make. It would be excellent for parties, especially of the holiday variety. I am including the recipe for these at the end of this post. We used some special top-secret ingredients. Like BUTTER! Lots of it. Velia says that it’s very important to use good butter. She had a fresh cream butter variety, but she mentioned that she has cooked with Land o’ Lakes. However, I am planning on researching butters for you. It’s just good to know, you know? So stand by for that. We also used a specific kind of baking powder that has a hint of vanilla in it. I’ve seen this stuff in the States (in fact, you can get it at Tony’s Deli in Hoboken), and it’s definitely worth trying as it adds a teeny-tiny touch of sweetness to breads and baked goods. 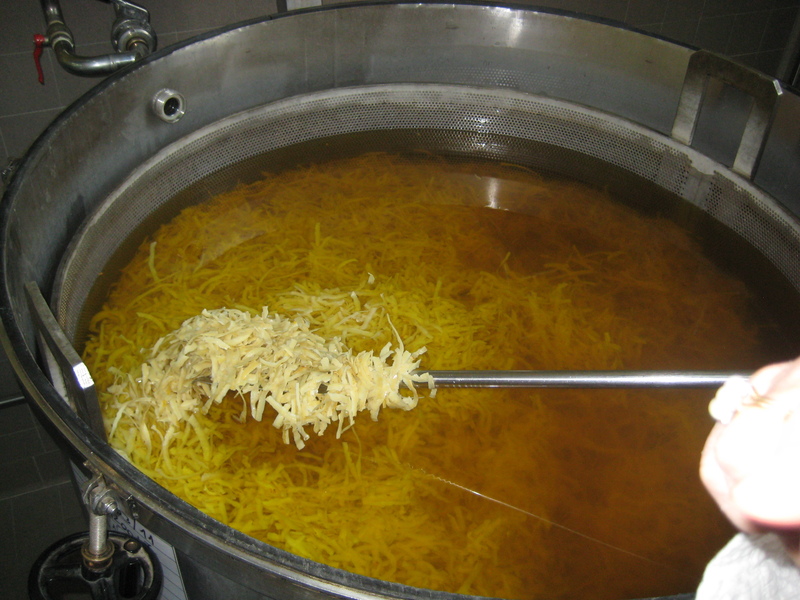 As for the canned tomatoes that were used for the pasta, Velia prefers the Graziella brand. She says that you don’t have to add any seasoning to them. I’m going to try and locate these for you in the States. If anyone has seem ’em, let me know! Onward to handmade pasta! Oh yes. Velia made this look so easy. 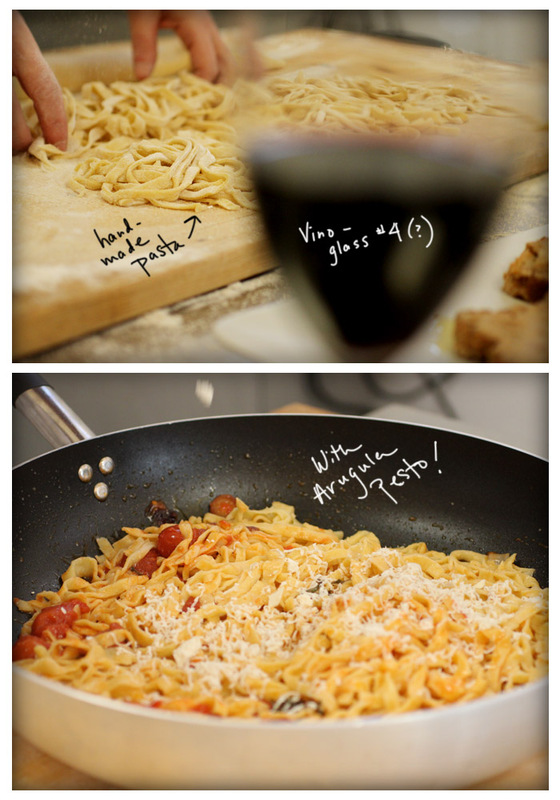 She didn’t even use a pasta-maker, just her hands and a large rolling pin. The pasta was topped with a tomato sauce, fresh cherry tomatoes, and an arugula pesto (genius! ), also freshly-made. As if the butter was not enough (it was not! 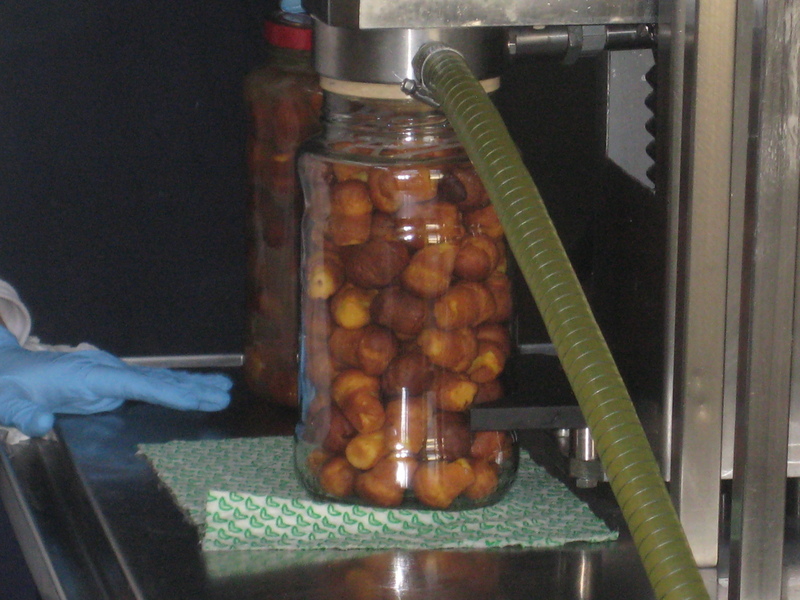 ), we then broke out the peanut oil! 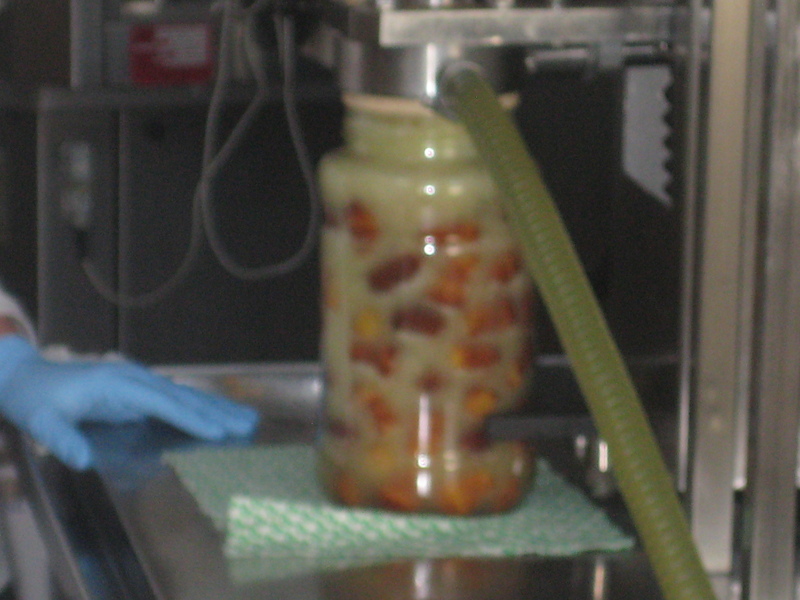 For frying! Peanut oil really is the best for frying, in my opinion. What did we fry? Perhaps you should ask what DIDN’T we fry. No, I’m just messing with you all. We fried squash flowers. This is quite a popular thing to do in Italy, and let me tell you, they are on to something. It’s very easy. You take a squash flower, coat it in some batter (flour and water with salt) and fry it up in peanut oil until they are golden. 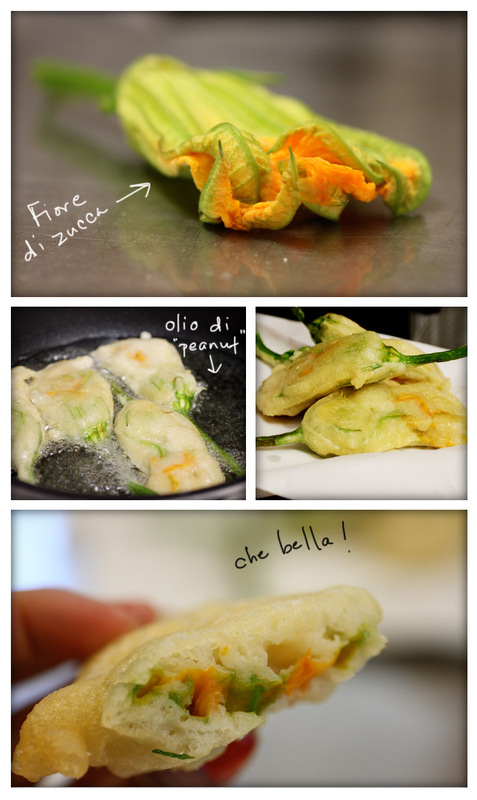 Sometimes the flowers are stuffed with a little ricotta cheese (most often the ricotta is the hard, salted variety), and occasionally, you will see them stuffed with an anchovy. I’m telling you, it’s magical. Onto dessert! 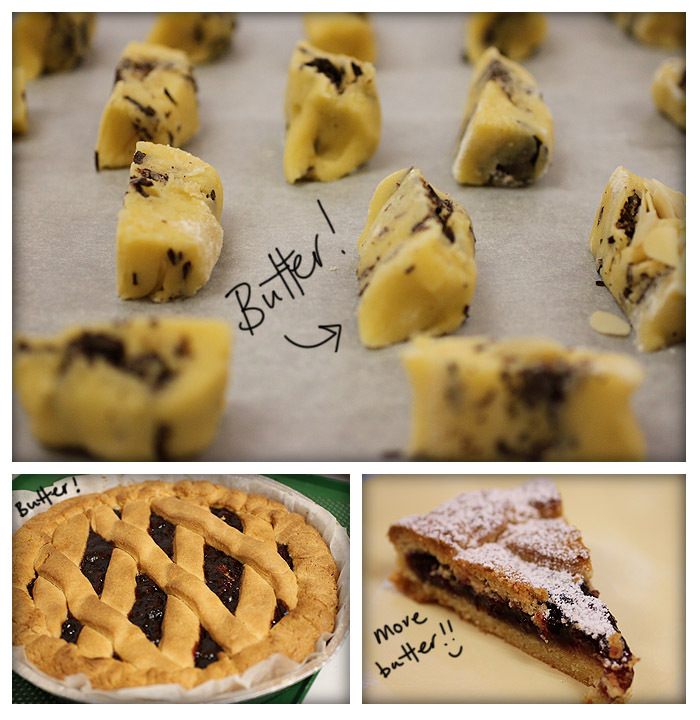 We made good use of that butter in cookies and cakes. Velia constructed an amazing fruit tart (crust: 8 parts butter, 1 part other stuff) filled with fruit preserves and dusted with confectioner’s sugar. This tart made an excellent dessert, and also breakfast. I should know, I ate the leftovers the next morning that Velia so nicely packaged up for me at the end of class. 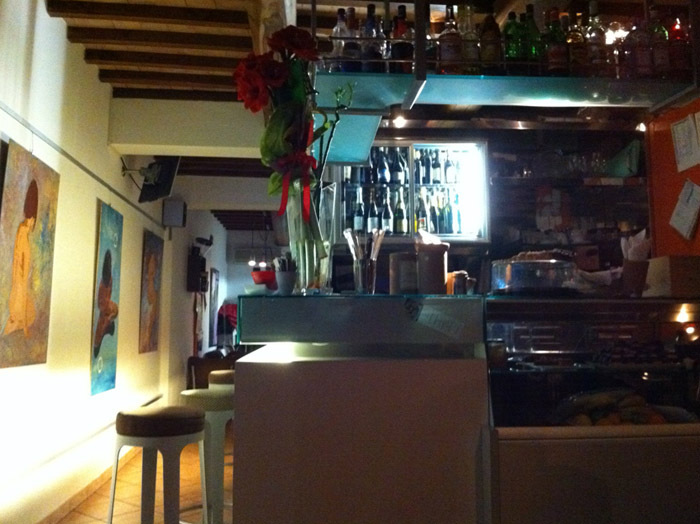 All the dishes that Velia prepared were not only delicious, but also very approachable. By this, I mean that it’s quite possible to prepare them yourself. Maybe not as expertly as Velia does, but there is no trickery, or slight of hand. The preparation is very straight-forward, which is something about these dishes and Italian cooking in general that appeals to me. I really felt that I learned something (quite a few things, actually), and I am definitely going to give these recipes a try in the not-too-distant future. Probably making them as I type this, you’ll find out soon enough. Start by cutting off some of the eggplant skin. You can leave some for color, but removing the skin will reduce a bit of eggplanty-related bitterness. Thinly slice the eggplant lengthwise so you have long pieces. Place the eggplant in a bowl and sprinkle with salt (which removes the water, and makes it easier to bake). Let the salt chill on the eggplant for about 20-30 minutes. There should be water draining from the eggplant, so pat it dry with a paper towel. Cover a baking pan with parchment paper. 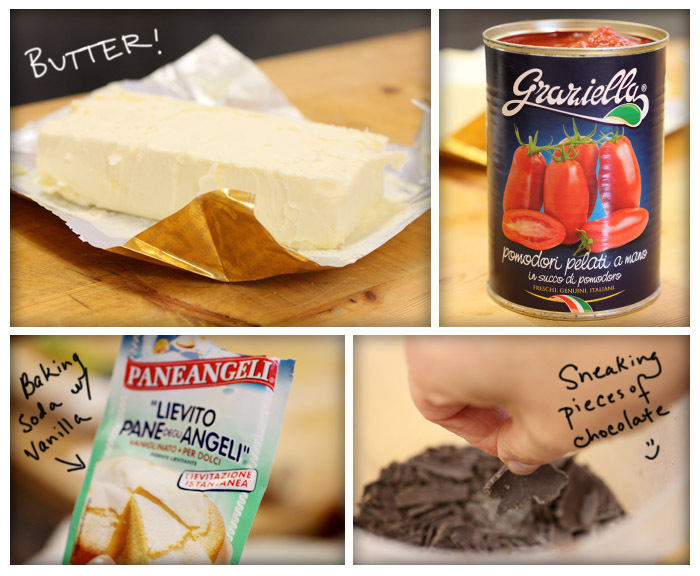 Drizzle the paper with olive oil. Line the eggplant on the parchment-lined pan overlapping the edges. You may need two baking pans. Drizzle more olive oil on top of the eggplant. Bake in the oven at 375 degrees until the eggplant turn a light shade of brown. Don’t overcook – at the risk of them turning too brown and chewey (gross). Remove the pan from the oven and let it cool for about 3o minutes. While you’re waiting, prepare the tomatoes byt cutting them in half and removing the seeds and juices from the center. 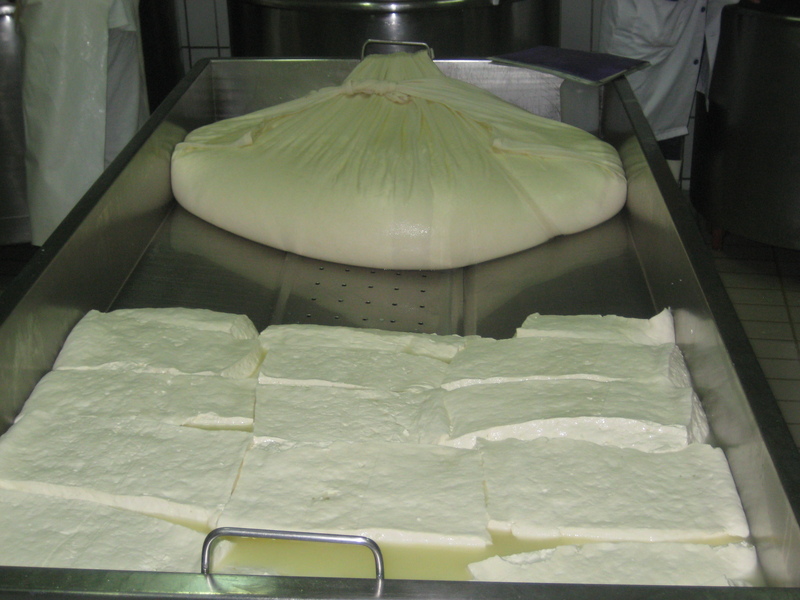 Grate the ricotta into a bowl – you will need about a cup of grated cheese. Remove the eggplant from the baking dish, and place on a sheet of parchment paper that you have placed on a work surface (your table, countertop, whatevs). Keep the eggplant overlapping each other – just like you baked them. Spread the arugula on top of the eggplant, the grated cheese on top of that, and then finally the cherry tomato halves. Add some salt and pepper for good luck. I mean taste. 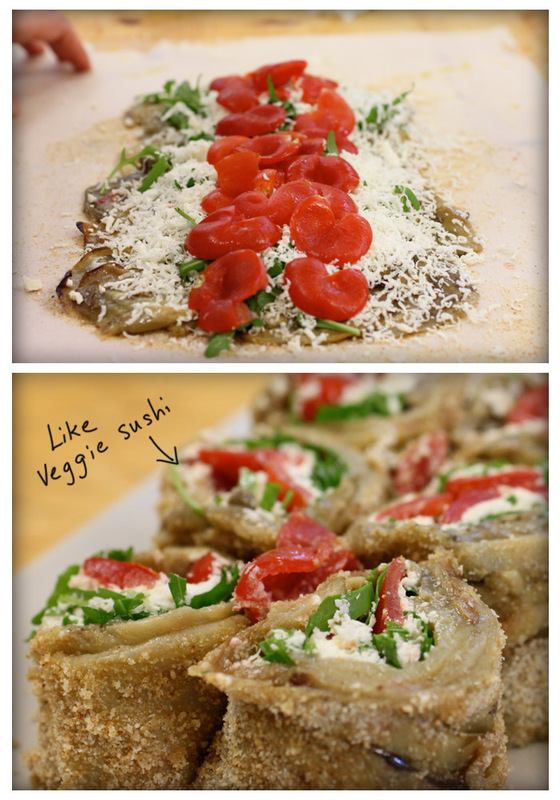 Using the parchment paper, roll the eggplant into a tight roll (like sushi). Make sure you keep it rolled tightly. At this point, you can either put the roll in the fridge and let it chill for a few hours, OR you can get a very sharp knife, cut it up, and put it on a dish to serve! Have I used the word “magical” yet on this post? Yeah, I thought so. I’m back! Did you miss me? Don’t answer that. Marmo and I had a fantastic time in Italy eating and drinking pretty much everything. 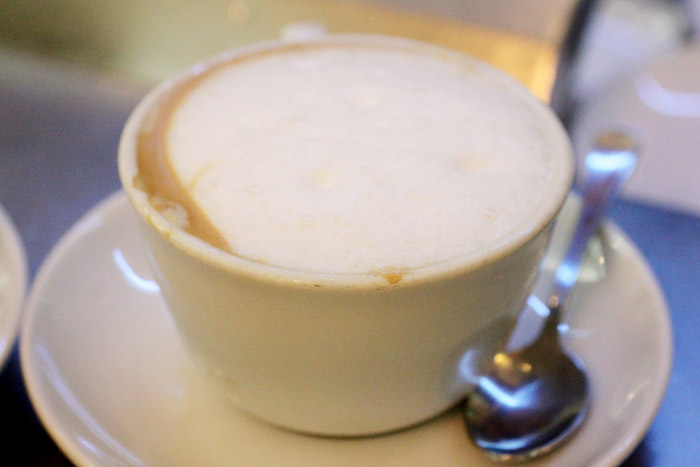 The beverage I drank the most of (aside from wine) was cappuccino. I couldn’t get enough. Those Romans know what they’re doing with coffee. After my fifth cup of this magical beverage one lovely day, I thought – HEY! I should bring some of this stuff home for the Italian Mystery Prize! 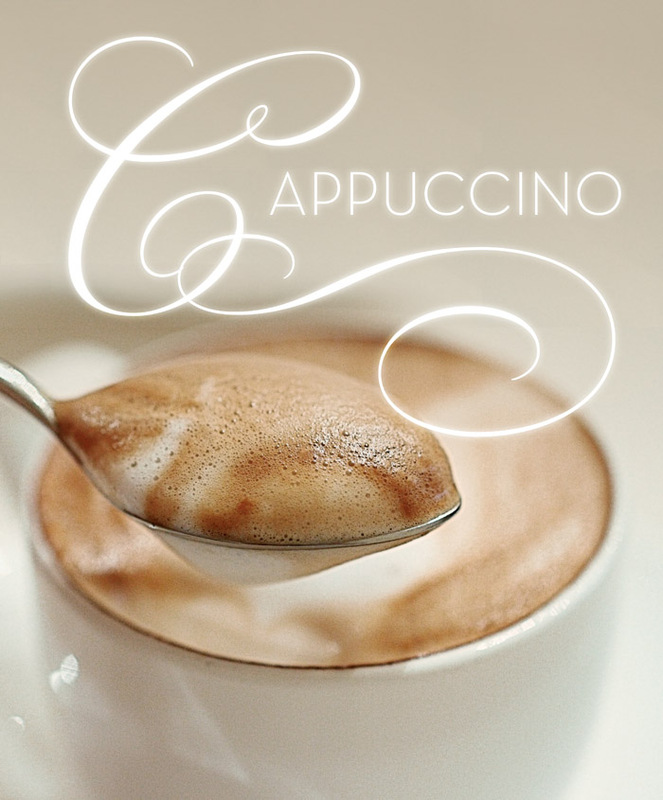 Even in the midst of the caffeine-induced manic episode I was having, I realized I couldn’t bring you all back a cappuccino. That’s ridiculous. BUT! 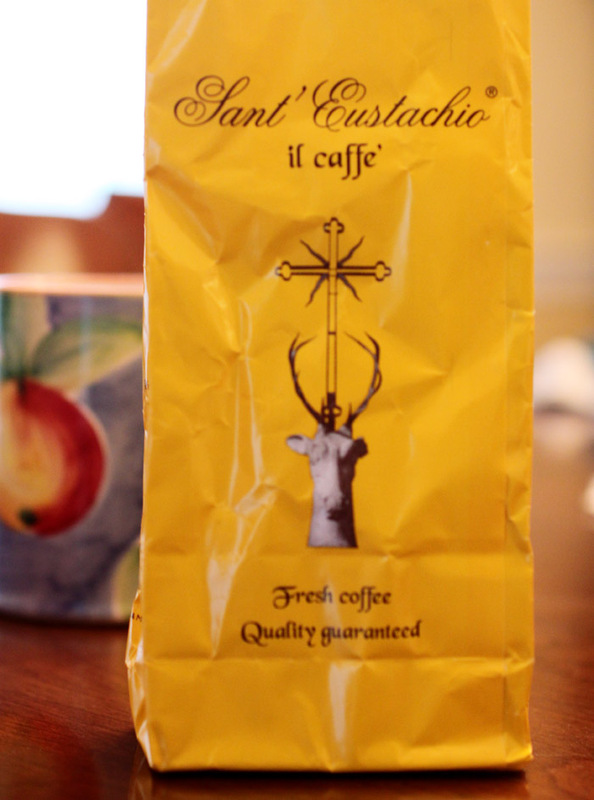 I did bring you back some coffee from one of Rome’s finest coffee roasting establishments, Sant’ Eustachio – located near the Pantheon and the Piazza Navona. 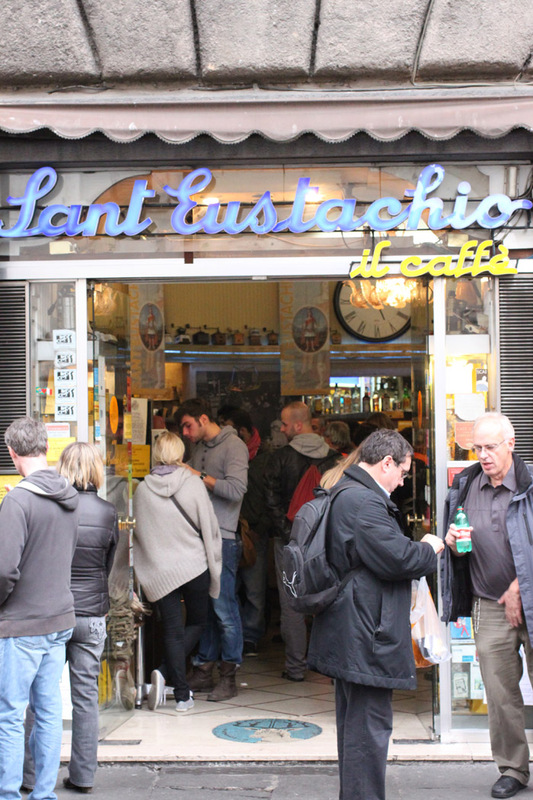 Sant’ Eustachio was founded in 1938, and I imagine looks and behaves much like it did during the 30’s. It’s a well-oiled machine of Italians and tourists alike flowing in and out of the shop like a caffeinated assembly line, stopping just long enough to down a coffee at the walk-up bar, and then stumble happily back into the world again, eyes WIIIIIIIDE open. The process goes like this: you walk in and veer towards the right, where a very serious-looking cashier has you pay for your order (before you order it). You try and do this as quickly as possible, conscious of the long line of impatient/sleepy/or otherwise coffee-needy individuals behind you in the very long line. The cashier hands you a receipt, and you amble towards the coffee baristas and coffee bar on the left side of the store. 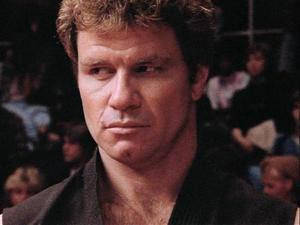 At this point, you jockey for a position at the bar, because you won’t be served until you are right up against it. Otherwise, where would you put your coffee? Balance it on your neighbor’s back? There are no to-go cups. This isn’t Starbucks, people. Marmo and I were waiting in line behind the teeny-tiniest of little old Italian ladies. I mean, like miniature. And ancient. The female versions of these guys. I almost took one of them home for your prize, but they were so cute together, it would have been a shame to separate them. The tiny Italian ladies downed their espressos like champs, gave us the thumbs-up (hilarious), and made way for us at the bar. It was fantastico! And before I stumbled back into the world, I picked up a bag of ground coffee for you! As you may recall, the rules of the contest were simple: leave a comment on the blog from when I announced the give-away, until now and you are magically entered into the pool of possible winners. I am giving you one more day. You have until midnight tonight to post a comment and be entered to win. So GO! As a side note, you should know that there will be more Italian prizes and giveaways. I brought home extra stuff. But this is the only coffee prize.